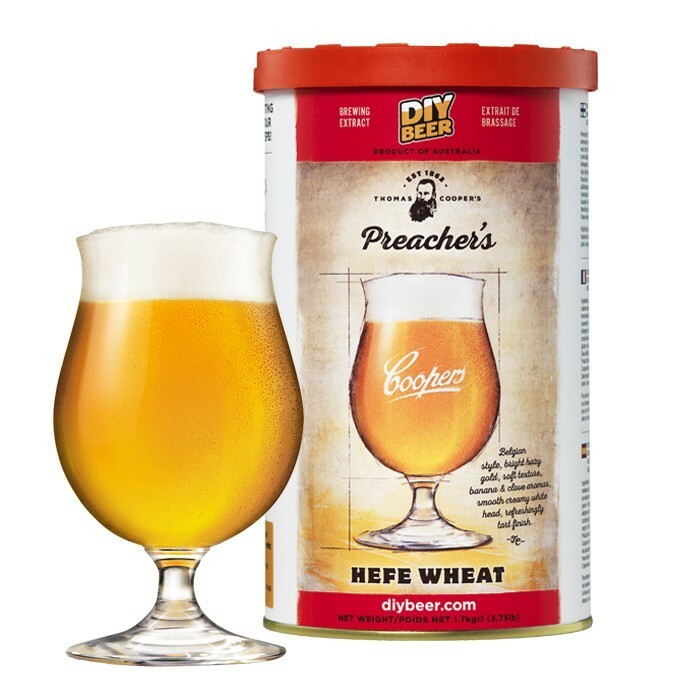 Today the working man’s prayers are answered with this Belgian style wheat beer. It’s a bright hazy gold with soft texture, banana and clove aromas, smooth creamy white head and refreshingly tart finish. Of course, if you’ve already tried it, we're preaching to the converted. 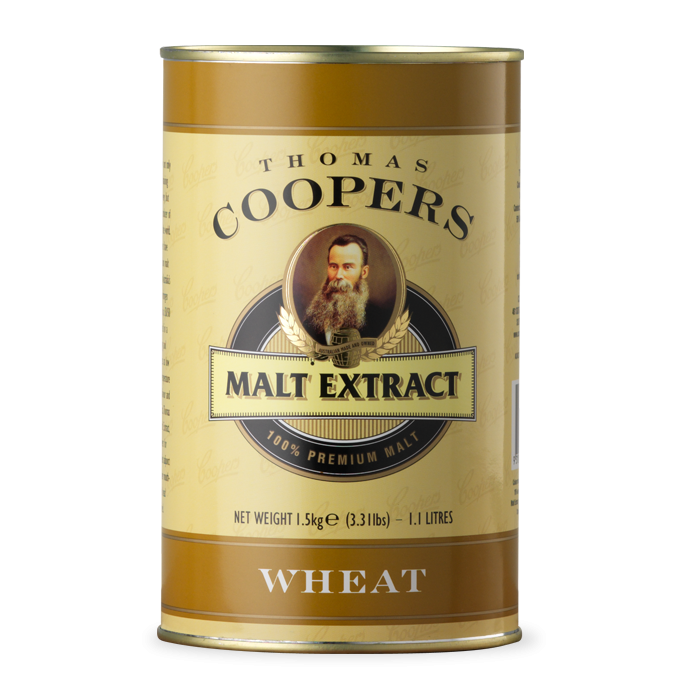 This refill contains an Thomas Coopers Preacher's Hefe Wheat Concentrate, 1.5kg. 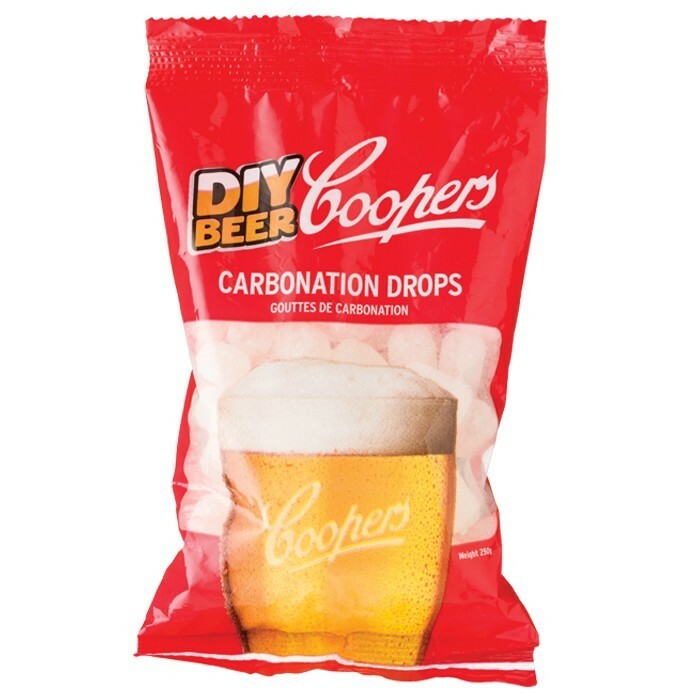 Coopers Wheat Malt Extract and Coopers carbonation drops.